Everything you need for an instant celebration! 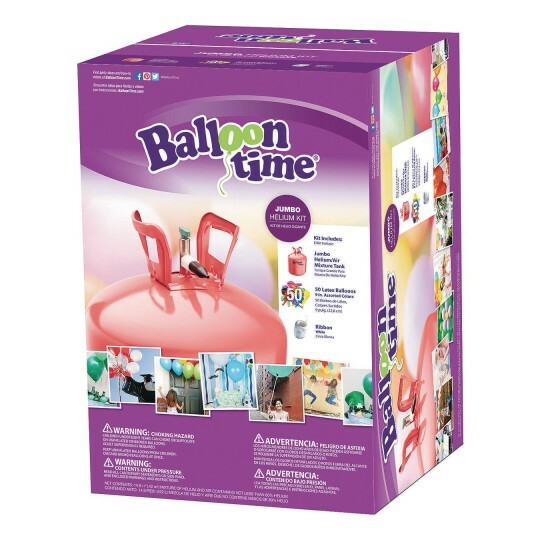 Complete with 50 colorful balloons, this kit contains everything you need for an instant celebration. With 14.9 cubic feet of helium/air mixture, the tank will fill up to 50, 9" latex balloons; 27, 11" balloons; or 27, 18" foil/Mylar balloons. 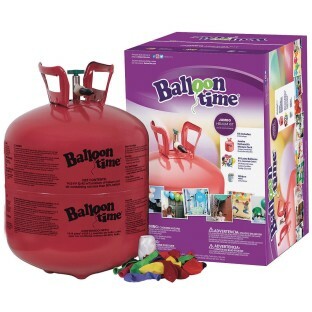 Use it all at once for many balloons or multiple times for smaller balloon bouquets. Additional shipping charges of $32.00 apply. Ground shipping only.